A hypnotherapist has today revealed how you can lose weight using only your mind – and she claims dieting won’t help. Malminder Gill, a Harley Street practitioner, says her technique can combat cravings, emotional eating and the desire for bigger portions. In an exclusive for MailOnline, she dishes out a host of advice for those wanting to shed the pounds around their bulging waistlines. 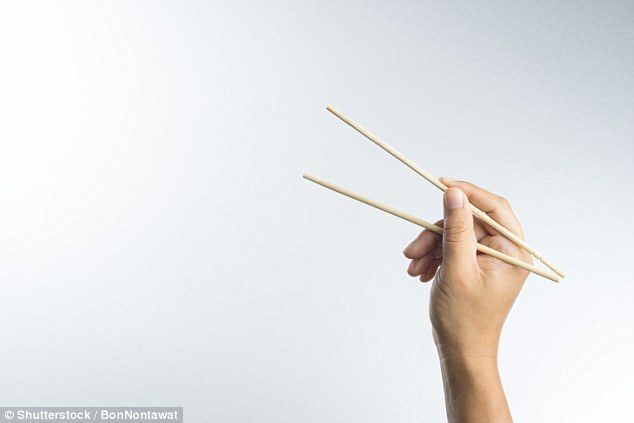 And her tips vary from using chopsticks to taking smaller bites and chewing more, in an attempt to trick the mind into feeling full quicker. Ms Gill, who has worked with clients on mindful eating for nearly a decade, told MailOnline: ‘It’s the only thing that really works. ‘The key to weight loss is found not in the gym, or in the math— (calories in and calories out), it’s in the mind. Her advice follows a North Carolina State University review of medical literature earlier this year, which concluded mindful eating can combat obesity. Writing in the journal Current Obesity Reports, researchers accepted the techniques, practiced by Ms Gill, really can decrease cravings and ‘problematic eating’. IS HER THEORY OF MINDFUL EATING BACKED BY SCIENCE? Her advice follows a North Carolina State University review of medical literature in March, which concluded mindful eating can combat obesity. Writing in the journal Current Obesity Reports, researchers accepted the techniques really can decrease cravings and ‘problematic eating’. The review of five previous trials was the first to collate and examine the evidence on mindful eating and weight loss. Weight loss was reported in four of the studies, which were all conducted for different lengths of time. Weight regain occurred in only one of the studies, The Washington Post reported at the time. You can start to understand why you have specific cravings, the triggers that cause them and the alternatives that can satisfy you. By enjoying the taste of all of your food, you may notice that cravings reduce. Unlike a diet, mindful eating does not restrict you, you can act on cravings if you want to, but more importantly, you will start to understand why you have cravings. If you have a craving, wait 15 minutes before succumbing. When my clients put this into practice, they give into their cravings 30 per cent less of the time. WHAT ARE THE 3 RULES OF MINDFUL EATING? Mindful eating is an approach where you focus solely on eating or drinking. Instead of letting your mind drift, or doing two things at once, you simply eat and drink. With mindful eating, you pay full attention to the experience and what is happening both inside and outside your body and note the sensations: the colour, smell, taste, texture, temperature and sound of the food. It also helps you to notice how your body reacts when you are feeling hungry or full and how satisfied you are. Mindful eating is a powerful way to take back control of food and drink for good. It does not involve a diet. There are no restrictions. With mindful eating, you pay attention to the environment as well as the experience you feel in your heart, body and mind. 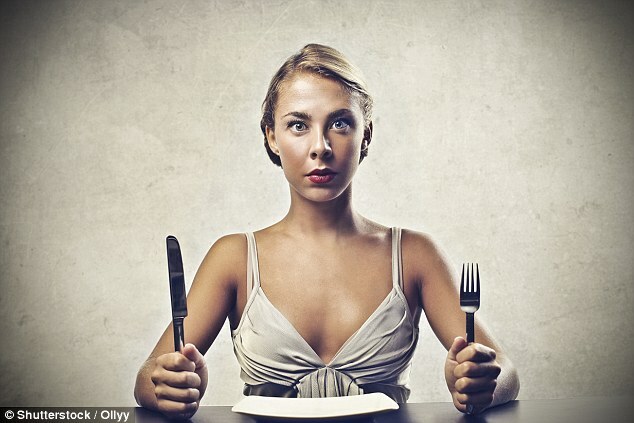 Mindful eaters do not criticise themselves for helping themselves to a second serving. You simply understand what your body wants through witnessing sensations and thoughts. According to Ms Gill, there are four key areas to work on to succeed at mindful eating: cravings, emotional eating, portion control and ultimately making healthy choices. Picture the food that you crave, by focusing on the image you achieve sensory boredom which means you don’t need to taste anymore. Give in and appreciate the craving, but while you are eating by aware of why you have the craving and if it actually feels beneficial to you. Before opening the fridge or cabinet, take a breath and ask yourself, ‘Am I really hungry?’ Do something else, like reading or going on a short walk. Mindful eating will help you to learn to eat only when you are hungry and stop when you are full. You also start to work through any emotional issues that are impacting your relationship with food and eating. From this, you can enjoy the experience of eating more while consciously making the healthy choice that enhances positivity. Be aware when you are doing it. Will you feel worse for giving in when you are trying to be healthy? Most of the time you will feel worse for letting your emotions ‘win’ and saying no may benefit your health goals and your emotions too. Keep an Emotional Food Diary. This will help you to see links to what and why you are eating. Emotional eating is often a way to experience pleasure. Ask yourself if you really will feel pleasure from eating, and if you do, make the most of it and allow yourself to fully enjoy it and stop when you stop the enjoyment. She advises that instead of eating until you finish your plate, you learn to stop eating when you feel satisfied and full. Instead of focusing on consuming lots, you can start to focus on tasting food to give you the satisfaction. Even in social situations, you can ensure you eat only as much as your body needs. By getting to understand your body and the sensations of food, you can learn what food fuels you best for exercise, enjoyment and work. You may also start to enjoy the taste of healthy foods instead of simply eating them ‘to be good’. Mindful eating may also mean you begin to realise that the unhealthy foods you like do not make you feel very good and healthy foods are more beneficial to your body, energy levels, mood and state. WHAT DOES MINDFUL EATING HELP WITH? Making healthy choices can be enjoyable when you start to appreciate the taste of healthy foods rather than feeling like you are denied your favourite unhealthy foods. Do not shop when you are hungry. If you are easily tempted, shop online, which will stop you from adding, treats to your shopping basket. You don’t need to change everything instantly. Instead, try to adopt a mindful approach for one meal per day. Eat somewhere quiet with no distractions and start to experience your food and make it an enjoyable experience. Very quickly you’ll enjoy the sensation and pleasure of mindful eating and want to do it more often to give you maximum benefits and achieve your weight and health goals.